We in some way or the other do so much damage to our locks that we’re driving our stylists crazy. It will seem like we are doing our usual, casual, routine and simple things like braiding it or put on a simple pony tail. But these are the things that are keeping us from having the lush, healthy, shiny hair we keep begging them for. Most of us need to learn exactly what we’re performing now to endanger our tresses. There are plenty things that we do day-after-day to the hair that individuals don’t even understand tend to be causing a challenge. We may also think that we’re doing just the right thing. Some of the country’s top celebrity hairstylists have insisted on what you need to stop doing if you want prettier strands. Find out what you’re guilty of—and the effective tweaks to remedy your routine. Picking and pulling split ends is bad for your hair. Each strand is made out of three protective layers cuticle, cortex, and medulla. So generally hair is made to take care of itself. When you start picking and pulling the strand into two, the protection is also gone not only on the ends, but all the way up the entire strand. Also, you’re actually shredding the hair, and creating a more uneven split end that’s harder to fix. There’s only one way to get rid of them, just snip it off with very sharp scissors. Then it’s gone forever. Getting a haircut as it is the only way to fix split ends. We all know by now that using the curler or flat iron too often will fry out your hair. 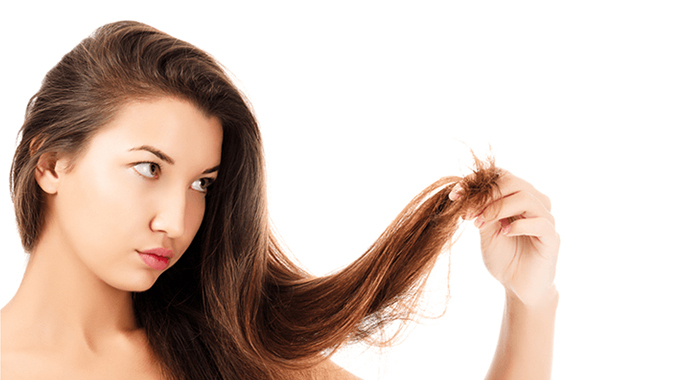 The type of damage caused by heat treatments is different in wet versus dry hair. In dry hair, thermal treatments cause chemical damage and some structural damage. However, in wet hair, thermal treatments cause the same chemical damage, but considerably more structural damage, which causes significant changes in the physical properties of the hair. It is likely that the rapid evaporation of water from the hair is the main causal factor. 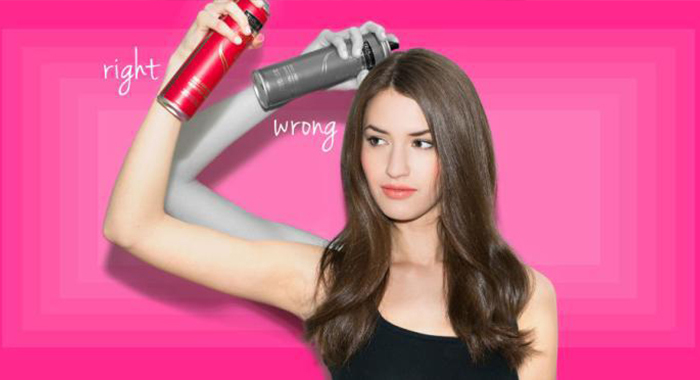 Instead of suffering the consequences of heat-treated hair, use a heat protectant before styling or blow-drying hair. Wet hair is more prone to breakage. 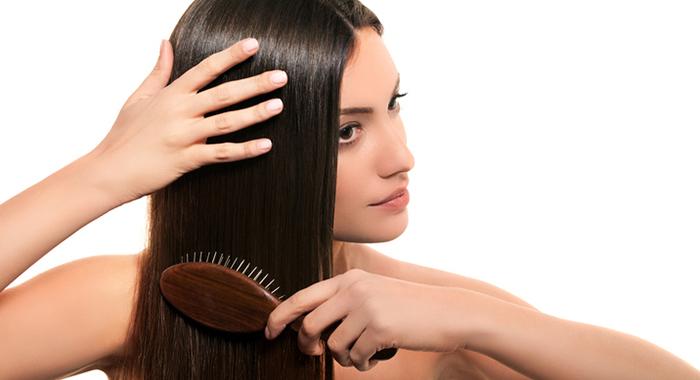 Brushing is one of the roughest actions you can do to your hair, especially if it is long and tangles. 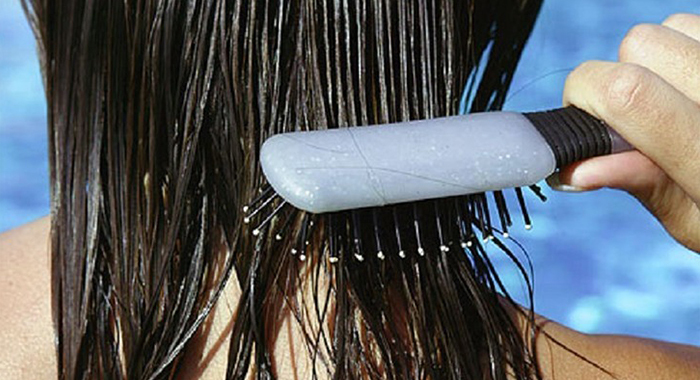 Brushing wet hair will lead to significantly more broken strands than if you allowed the hair to dry before brushing it. Using a wide-tooth comb is a better bet to brush your hair. Wearing a ponytail creates a pressure in a specific spot on your hair shaft that can weaken it over time and prevent growth. Pulling the ponytail tight strains the tissue in the scalp. Sleeping in a ponytail causes breakage right at the crown of the head, or wherever the elastic is placed. Go to bed either with a very loose pony tail or braid your hair loosely. Spraying hairspray too close to your hair will concentrate the formula in one spot, leaving it crunchy and not touchable. Instead, hold a hairspray, about 12 inches away from your hair, aiming it at an angle so that you get a light mist all over. This will avoid big white patch or slick spray spot. Aerosol products work best when they’re exposed to air before they reach the head. 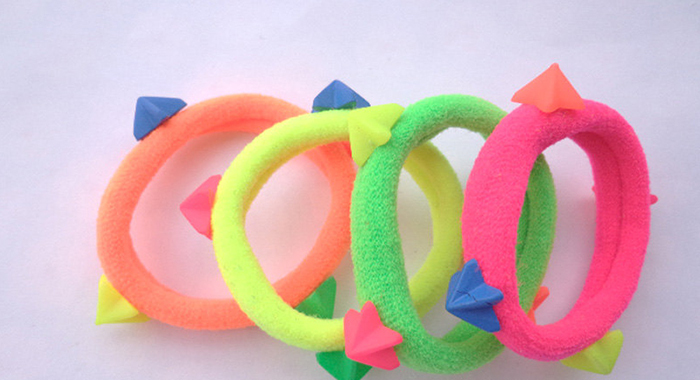 The main concern when tying your hair up, is using a good quality hair elastic. 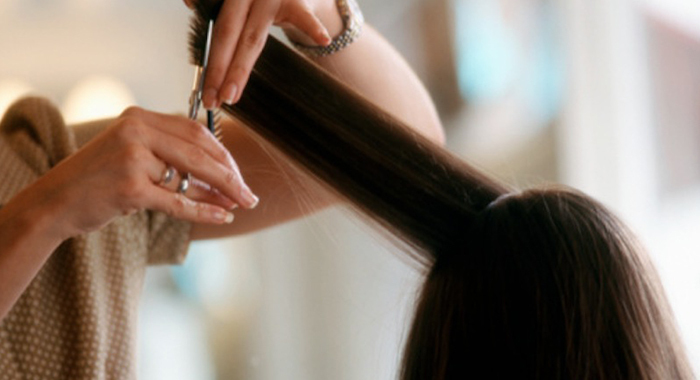 If you use rubber, you can cause friction breakage and damage to the cuticle layer of the hair. Rubber bands snag the hair when you loop it around too many times, and tears it when you take it out. Instead try using satin wears or clips to tie your hair up. When brushing, you should start toward the bottom and brush down, moving upward only when you notice no tangles in the previous section. If you start brushing at your roots, you’ll have to fight through more tangles to get to the bottom, thus promoting breakage and weak hair. Cutting the ends of your hair doesn’t affect the follicles in your scalp, which determine how fast and how much your hair grows. For every few inches you’re trimming, you’re actually adding months to your growing time. 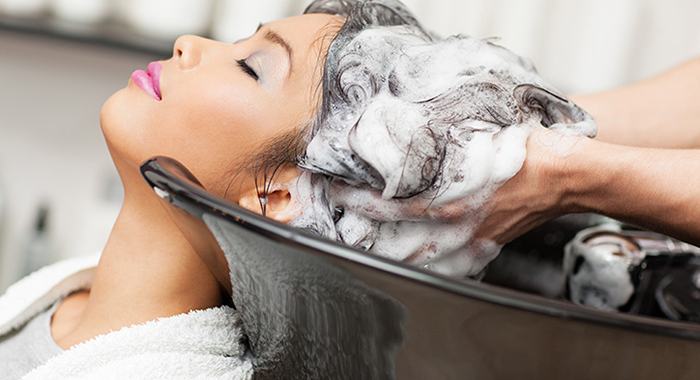 Instead, try fewer washings, less heated styling and blow drying, and deeper conditioning. Be careful about using clarifying shampoo because it can strip your hair of essential oils that moisturize it. That natural hydration can be difficult to regain. They make your scalp overproduce and thus make your hair greasy all over again. Instead use volume-enhancing shampoo and conditioner which will degrease without stripping out the good. Towel drying and rubbing hair with a towel can rough up the cuticle (outer layer of the hair), causing it to look frizzy or fluffy and potentially lead to more breakage. When you’re towel-drying, wring your hair out, moving downwards from root to ends. Pat—don’t rub—your hair dry. Your strands are delicate, and your vigorous drying is just a whole lot of destructive friction. Using dry shampoo more than twice a week, dehydrates your scalp, which can make the hair weaker and more prone to breakage. In addition, shampoos can sometimes work too well, removing the oils your hair naturally produces resulting in hair that looks dull and dry.